Scott had taken me on our very first date to Sundance Square in downtown Fort Worth, around Christmas in 2012. Ever since then, we’ve celebrated countless birthdays, holidays, and anniversary’s in this special spot. Scott and I had planned on going to dinner after work on November 9, 2018. 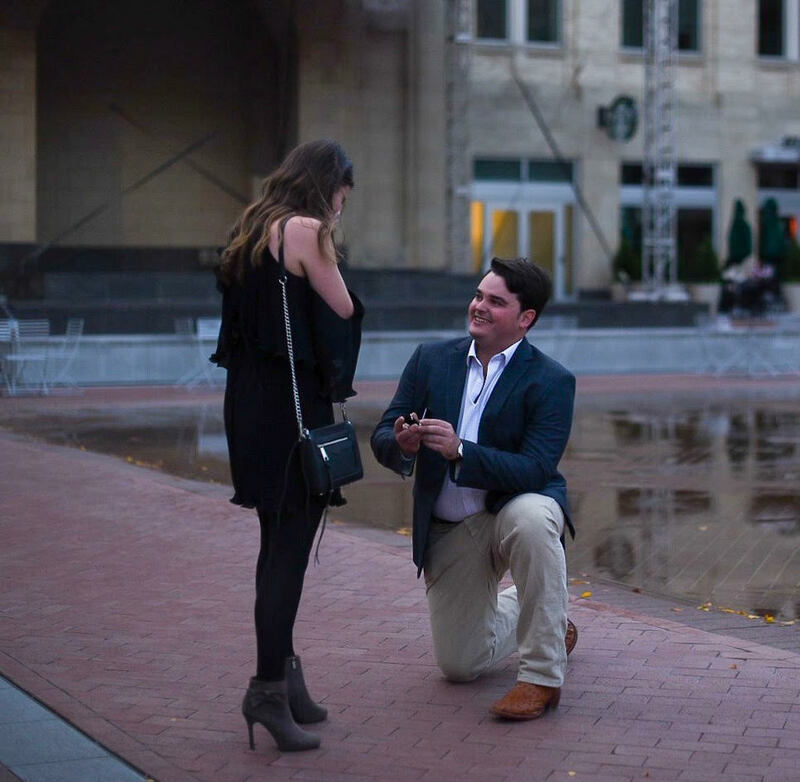 He came home from work shortly after I did, and we walked from our apartment to Sundance Square. There Scott turned to me and got down on one knee and asked me to marry him! He had a photographer there to capture the moment, and for that I was so thankful. The ring was BEAUTIFUL, and it was the perfect moment. Afterwards, we enjoyed a bottle of champagne at Bird Cafe and called our family. It was the best day!! We are getting married in Fort Worth, the city we love, on March 21, 2020...our 7 year anniversary :). Emily and Scott are getting married at Century Hall on March 21st! Make sure you are following Sistered States on Instagram to follow along on their big day!